I am pretty in love with this outfit. 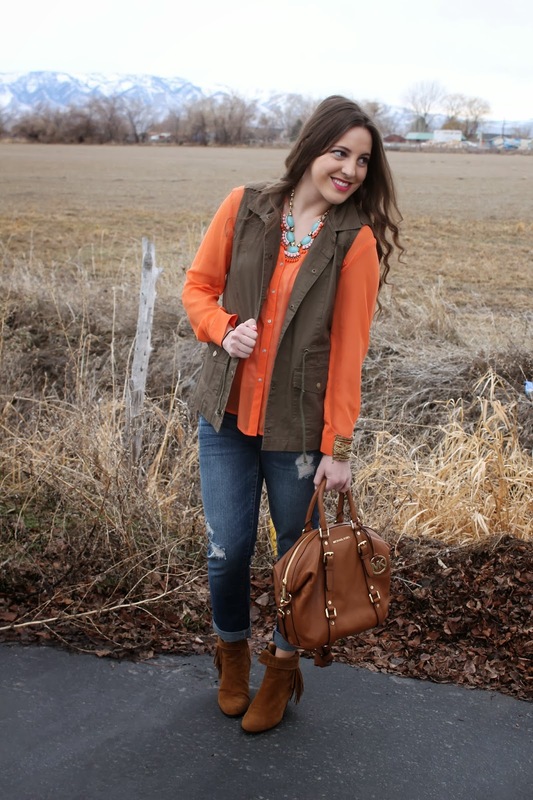 I love this flowy chiffon orange blouse that I bought forever ago but it looks even better with this cute green vest from Annie Jean Apparel. 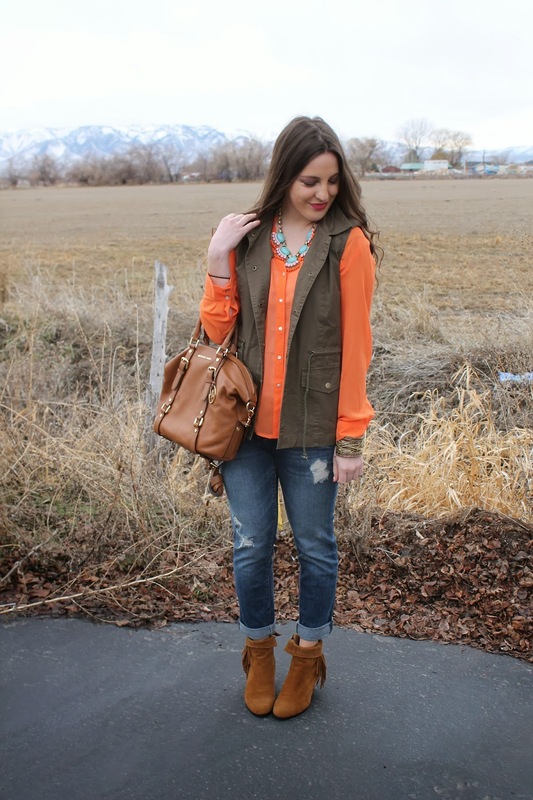 I seriously love this vest, it goes with SO many things and adds so much flare to an outfit. Check out Annie Jean, and when you find something you love(because you will) use the code SAVE20 at check out to get an extra 20% off!!! This fan fringed necklace went along with it really well I thought, the colors of this outfit are just so warm to me, reminding me of warmers days. 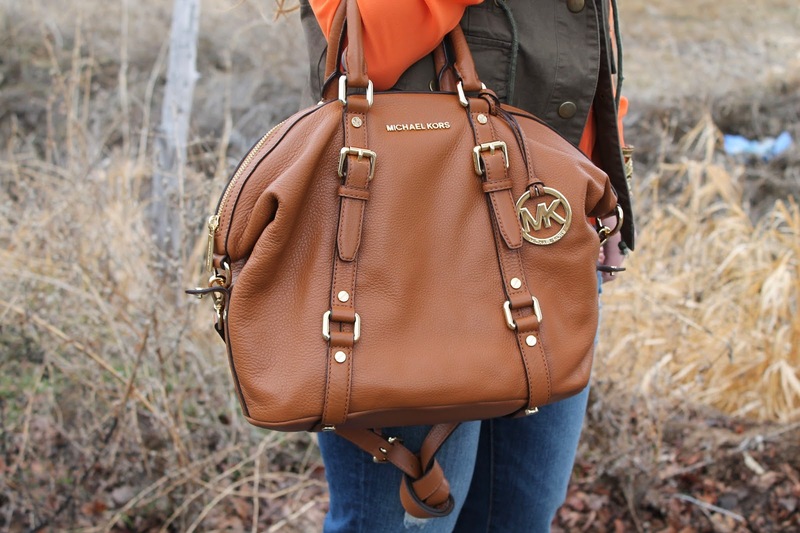 I also got to wear my new Michael Kors bag I just bought myself! I am so obsessed with this purse! 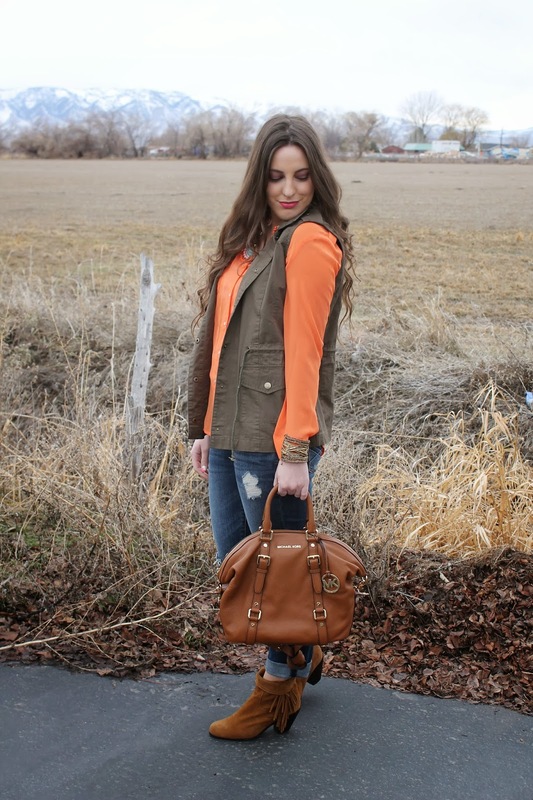 Wait till you see how I not only can wear it this way but it changes to wear it as a cross body, its the perfect bag and the luggage color is perfect to wear with pretty much everything. So Matt has the cutest style, I'm probably biased because he is my boyfriend but this boy is just too cute. 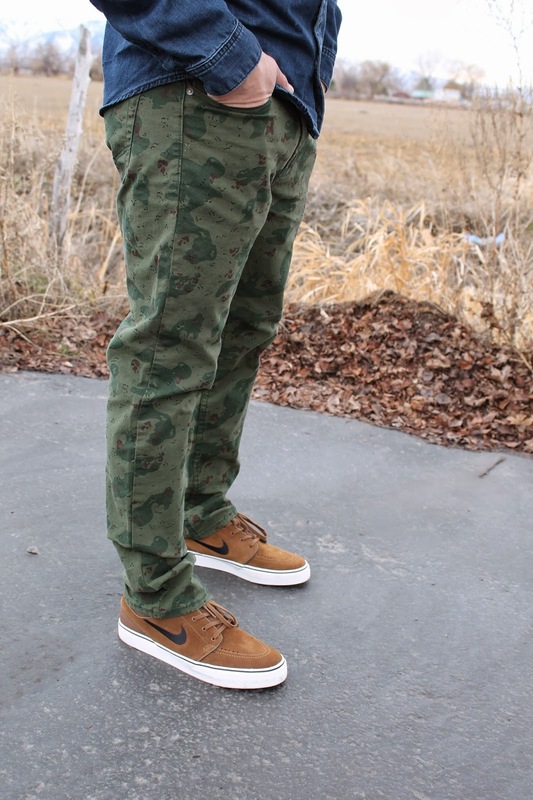 Aren't these camo pants so fun and cool for a guy, just a different take on camo! Would you believe me if I told you that he got them for $3? Well he did..I've taught my man well when shopping for sales;) He found them at Pacsun and I was shocked when he told me. 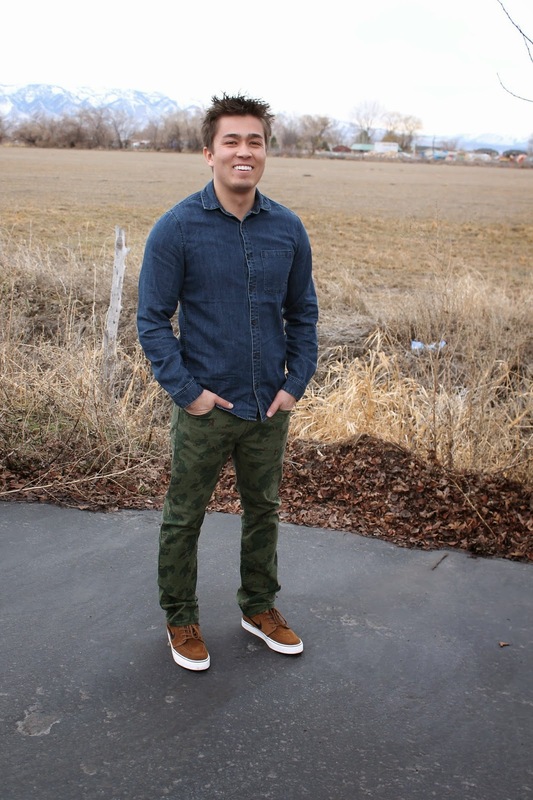 We paired the camo pants with a denim button up to really let the camo do the standing out. 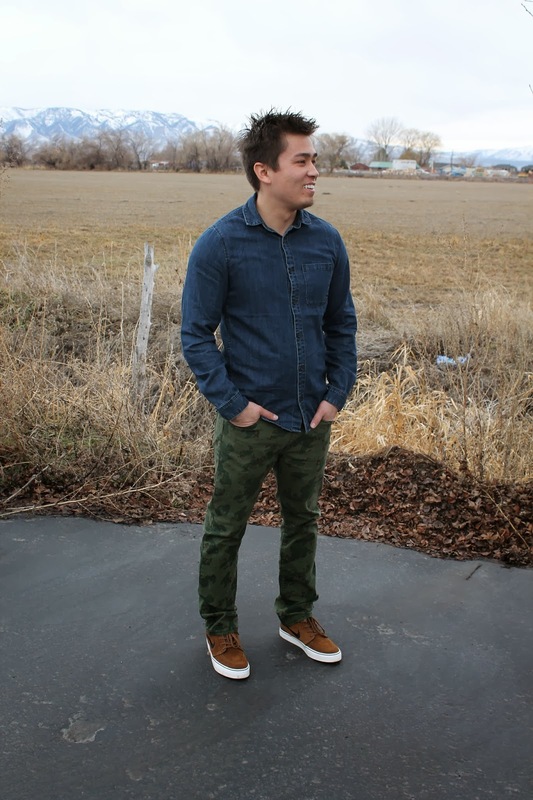 I think pairing camo with denim is a perfect way to really wear camo well. And I thought his new nikes were the perfect touch to the outfit. They are Nike Stefan Janoski and I love them, they are suede material and the brown color is perfect to wear with a lot of outfits. 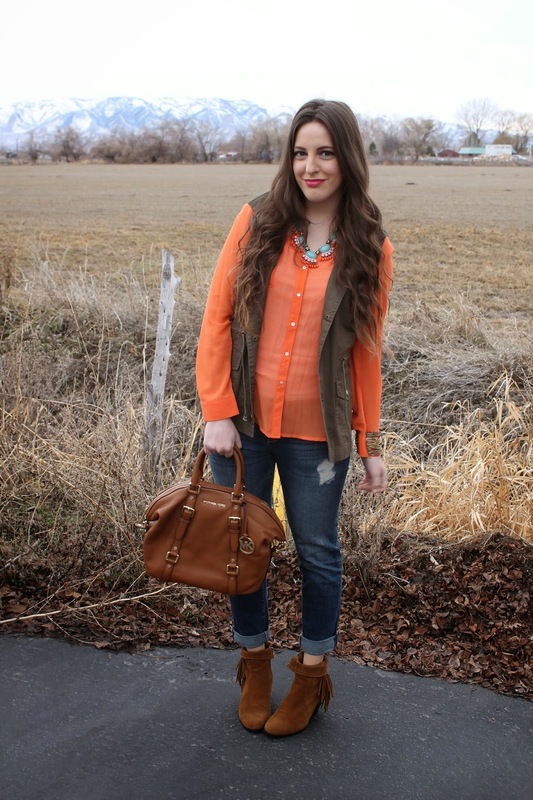 I love your orange chiffon blouse too!! Great color & it looks beautiful with your skin tone! Thanks for sharing! You both look cute! 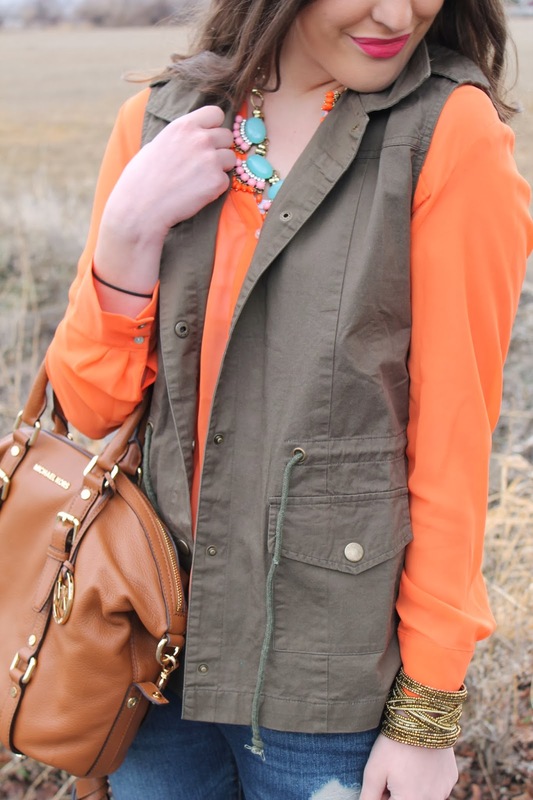 I really love the color of that blouse and it is so pretty with the necklace! Lily I LOVE your bag!! Totally jealous. I need one that I can wear as a crossbody too since that's basically all I wear. How cool! And your guy is so stylish! The two of you are so adorable!! I love your bright blouse! 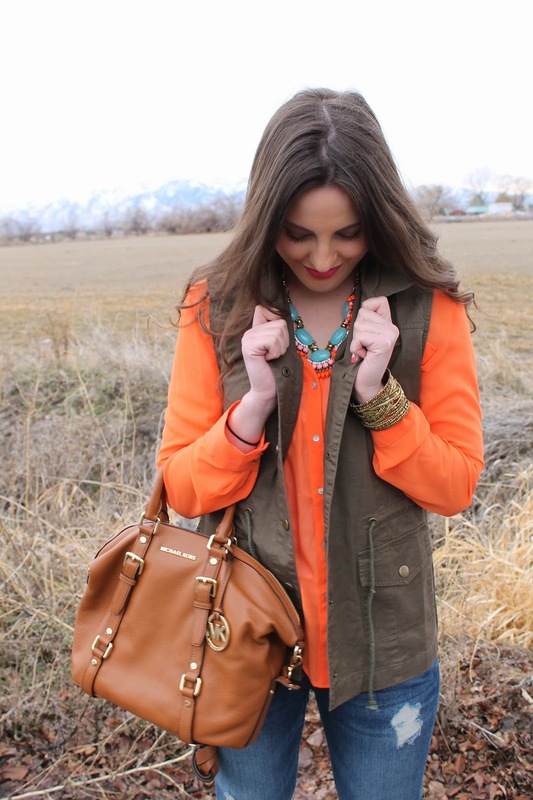 I a.m super jealous of your MK bag, I love it!